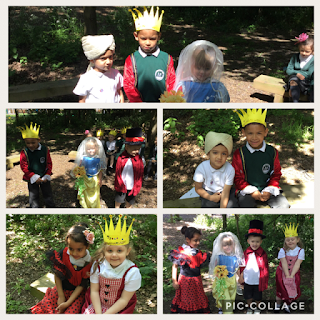 Reception are inviting parents to come and join us for our next reading morning which is taking place on Friday 15th June between 8.30am -8.55am. We are asking parents to come and join their child in their classes for up to 5 minutes reading a book to them or with them. We are inviting parents to our last stay and play of the academic year. 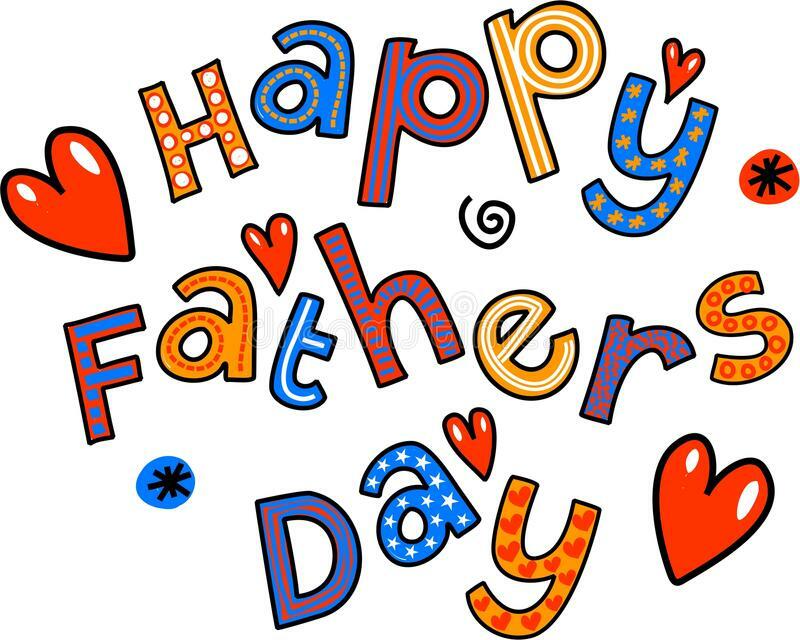 You are welcome to come and spend time in Nursery on Friday 15th June where the theme will be Father's day and we will have lots of activities for you to do with your child. The open day provides a great opportunity for you to come and share in your child's learning and to also see what they have been learning this term. You do not have to stay for the entire session, if you can only stay for an hour that is fine an any family member is welcome to attend but we are encouraging Dads, Uncles, and Granddads to come along. If you have younger children they are permitted to come in with you but please leave buggies outside. 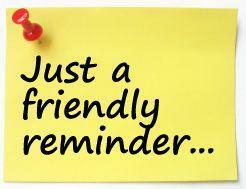 If your child attends our Nursery for 30 hours please note you can attend either the AM or PM session. Please add the date to your diary so that you don't miss out on this very special opportunity to interact with your child whilst they play and learn. We are inviting parents to our last stay and play of the academic year. 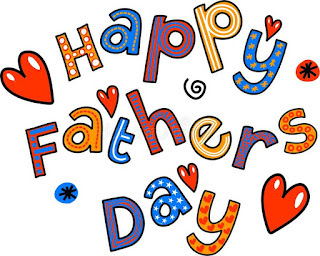 You are welcome to come and spend time in Reception this Friday 15th June where the theme will be Father's day and we will have lots of activities for you to do with your child. The open day provides a great opportunity for you to come and share in your child's learning and to also see what they have been learning this term. Any family member is welcome to attend but we are encouraging Dads, Uncles, and Granddads to come along. Please bring younger children with you if you need to. We hope to welcome you all on 15th June. Over the last two weeks KS2 children had an opportunity to explore Indonesian music and culture. 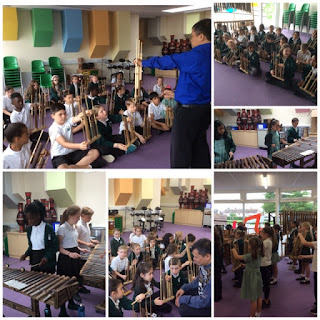 Thanks to Havering Music School and The Indonesian Embassy we were the first school in the United Kingdom that learned to play Indonesian Angklung. The Angklung is a musical instrument made of a varying number of bamboo tubes attached to a bamboo frame. The tubes are carved to have a resonant pitch when struck and are tunes to octaves, similar to Western handbells. The base of the frame is held in one hand, whilst the other hand shakes the instrument. This cause a repeating note to sound. The children enjoyed the music sessions immensely and were extremely happy being able to sing and play some popular Indonesian songs. Maddison in Year 4 said, '' I like playing this bamboo xylophone and I am very good at it''. You can watch their short performances on Facebook. These children have used a range of powerful vocabulary and techniques to become a Star Writer; Lenny, Sumad, Lola, Riddhi, Muhammad-Ali, Alfie, Riley, Brooke, Shay, Ellie, Rebekah, Safiyya, Akacia, Amira, Paris, Hollie, Eshaan, Kyanna, Hafizah, Ina and Millie. Amara, Amy-Leigh and Alynniea have been working hard at home and extending their knowledge through their learning challenge work. Aminata, Scarlett, Zephan, Tomi, Cameron, Maddison and Lenny receive certificates for reciprocity and Hanzalah, Jamie and Briana for reflectiveness. Well done to Lilyana, Agata, Zachary and ALL of Madagascar class who receive certificates for resilience and Samuel, Jannat, Abigail, Pritika and Sofia who have shown they can be very resourceful in school. Silver Tracker certificates are awarded to Gabriela, Millie-Rae, Lexie and Gene. Well done to them! Alexa, Ivan, Kai and Justice receive Gold Tracker certificates in recognition of the fantastic effort they have made in learning. A massive well done to Jasmine who receives a Platinum Tracker Certificate for working so hard. Anya is to be congratulated as she is the very first pupil to be awarded the trophy for completing her STAR Tracker-Well done Anya. Elena, Ines and Raul have achieved bronze reading awards for reading 25 books. Silver Reader awards go to Andy, Michael and Aisha who have read 50 books. They each receive a silver certificate and a £5 book token for their efforts. Dev, Tommy, Francesca, Grace and Tzoulia have read 75 books and they get a book of their choice for their fantastic effort. Kajus has read 200 books and gets to choose a set of books in recognition of his fantastic effort. In recognition of their insatiable appetite for knowledge and ability to sniff out amazing facts the following children have been awarded certificates; Kaylin and Amelia. Summer in Jamaica -For moving on to word books in her reading. Well done to Canada class who once again had the highest attendance in Y5&6 and overall at 100%, so earn themselves another cupcake party . Germany had the highest attendance in LKS2 at 99.3% and Palau had the highest attendance in KS1 at 95.3%. Well done to them!. The overall attendance was disappointing at only 94.1% which is below our target- hopefully we can improve on this next half term. Week beginning Monday 4th June is week 1 on the Havering catering services menu. All meals are served with unlimited salad and vegetables and cost £2.20. Monday 4th June- Pupils are expected back in school-Doors open at 8:30 (Breakfast club at 7:45). Friday 8th June -Some of our KS2 pupils will be attending the Havering Music Festival rehearsal at Broadford during the morning while some year 5 pupils will spend the day cycling with Phil. The app aims to create healthy competition amongst primary and Junior school children, where they learn to dodge unhealthy foods and get rewarded by collecting fruit and vegetables. The main advantage for pupils downloading and playing this app, is that pupils can win your school sports prizes!! These prizes are worth up to £200! Each school will receive a unique reference code that they share with pupils, who use this when they login to the game. Why do we need to promote Healthy Lunches? Recent evidence suggests that only 1% of packed lunches are healthy! We hope from children playing the game they are able to identify the difference between healthy and unhealthy foods. It is wonderful that we are experiencing this lovely weather, let’s hope that it continues during and after the half term break. I would like to ask all parents to ensure that children have sun protection applied before they arrive at school. . It is also recommended that children wear caps/hats into school to wear during outdoor times. We will ensure that pupils have access to plenty of water throughout the day to keep them fully hydrated. Unfortunately some parents/carers have run up considerable debts on their SQuid accounts. This is unacceptable as, ultimately the school has to bear the cost for unpaid dinners. We are now imposing a £10 limit per child-this means when the amount owed exceeds £10 parents/carers will be expected to send their child/children into school with a packed lunch until the debt is cleared (the child will NOT be offered a school dinner). Where did that half term go? I can’t believe we are already half way through the summer term with only 7 school weeks before the summer holidays. A lot has been accomplished this half term: Our year 6 and year 2 children have completed their SATs tests, we were the first school in the country to host the Indonesian Music School and our curriculum has been enhanced by some very interesting visitors to school and experiences off site. I hope you all have a wonderful week , I hope the sun shines for you and look forward to welcoming you all back suitably rested and ready for the challenges of the final half term of the academic year. This week pupils investigated the pH of sweets. Pupils had to crush the sweets and then mix the ground sweets with water before testing the pH with litmus paper. The pupils showed resilience whilst crushing the sweets which proved to be difficult! The results were shocking. Kerry said, “I can’t believe how acidic all the sweets are!”. A BIG thank you to all of those parents who were able to make our stay and read yesterday morning. There was lots of children fully engrossed in the stories being told, taking their imaginations to far off lands. "We love reading" said Bella-Leigh and Rae. 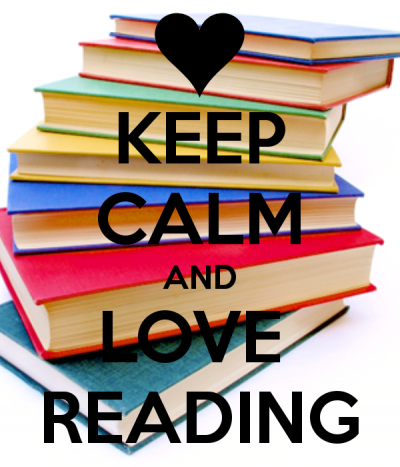 We will be holding another reading morning in June, please look out for further details. You may have enjoyed watching the Royal wedding but at Mead we had our very own Mead wedding. 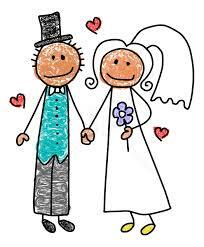 The children in St Lucia excitedly gathered to see the pretend wedding of Junior to Lola. Junior had a best man and Lola had two beautiful bridesmaids. The wedding was set in the woods and the sun shone down on the happy couple and the guests. 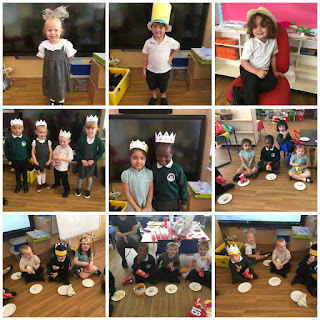 In the afternoon the children celebrated with sandwiches and cakes. This week year 5 created their own short plays using a range of props as inspiration, showing resourcefulness with the items available. They displayed reciprocity as they worked in groups to write playscripts and create their drama pieces. At the end of the plays, the class reflected on what went well and how they could improve on their plays. Additionally, they reflected on how well they worked as a group. In science this week we are making Cartesian divers. We are investigating why some objects float and some sink. Could you please send in any clean 2 litre drinks bottles you have by Thursday please. Fabian Faron have been working hard at home and extending his knowledge through his learning challenge work. This is just a reminder that there will be no swimming for Year 4 this week. Swimming will commence the first week back after school. We hope you are enjoying your weekend. As we move into the last week of another busy half term we will continue talking about the farm this week and encouraging the children to create drawings and paintings of animals We will also be continuing with our Read, write inc programme and continuing to practice songs for our end of year graduation. Thank you to all the parents who are supporting the children to come in and do their own jobs and say goodbye we are very proud of the children for the independence that they are showing. 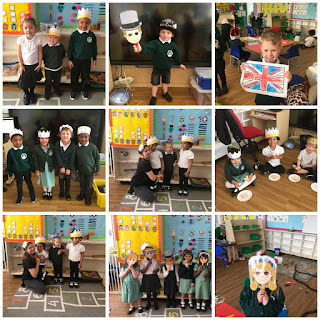 Here are our lovely Nursery children celebrating. We hope you all have a lovely half term and the weather stays nice. 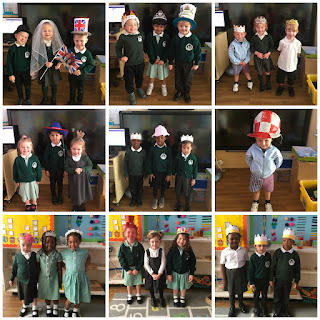 Reception are inviting parents to come and join us for our next reading morning which is taking place on Tuesday 22nd May between 8.30am -8.55am. We are asking parents to come and join their child in their classes for up to 5 minutes reading a book to them or with them. We hope you are all having a lovely weekend so far in the sunshine and you managed to catch a glimpse of the royal wedding yesterday. 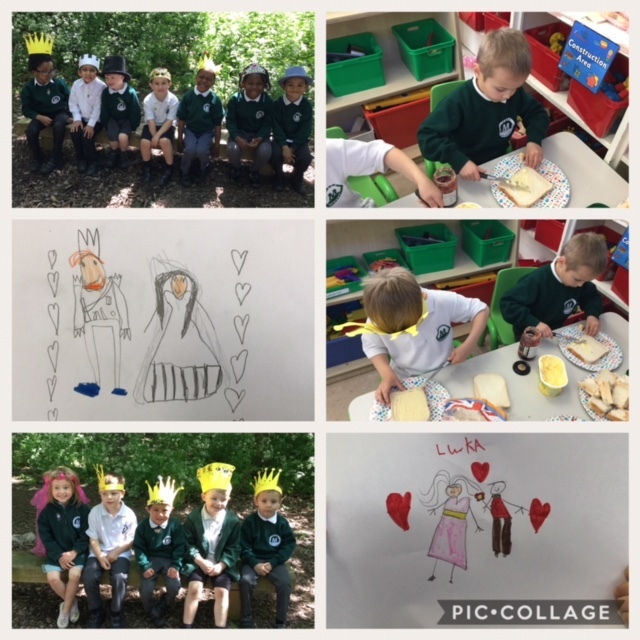 The children all made such a great effort with their wedding head wear on Friday and we continued the royal celebrations by having class picnics and making delicious sandwiches. Please look out on the blog tomorrow for pictures of our celebrations. We also realised our butterflies on Friday; we hope you managed to see our blog which captured their first flight to freedom. As we enter into our final week of this half term, we will be continuing our topic of ‘Growing and Changing’ by reading the story of ‘Titch’ by Pat Hutchins. We will be discussing how the children have all changed since they were babies, discoing the human life cycle and talking about what makes us unique. Thank you to those parents who have sent in/emailed their child’s baby picture already. Thank you again for your continued support and cooperation in encouraging your child to come in of a morning independently, it is much appreciated and will help in their transition into Year 1. The majority of children are now managing this very well and enjoying the satisfaction of being able to do this. A little reminder Wednesday is our PE day, please ensure your child has their named PE kit in school. We have a lot of lost property accumulating in school which cannot be returned to their rightful owner as they are unnamed. If your child has needed a change of clothes, could you please ensure these are sent back into school as we now have no spare clothes in school! 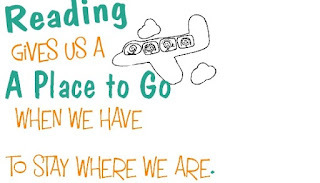 Each half term we will be setting our pupils a challenge related to their learning. We believe that it is important for us to provide guidance for parents on how their children's learning can be extended at home. Thank you to all the families who completed this last term we hope to see lots more coming in this term.